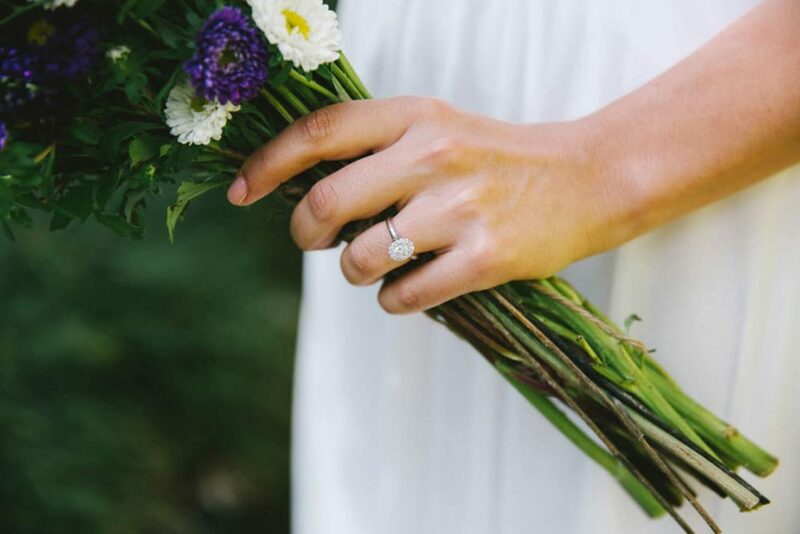 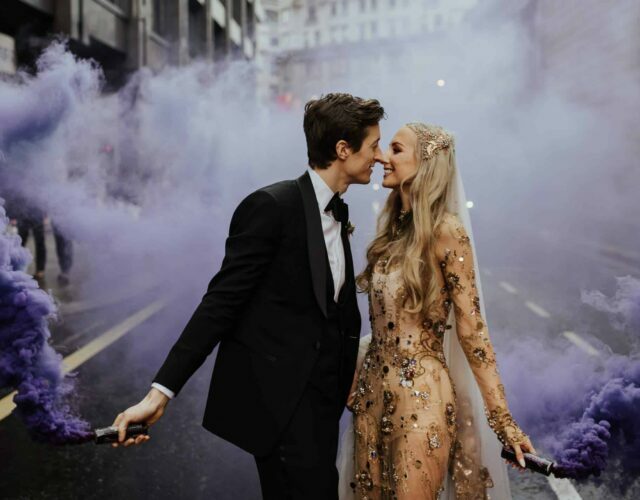 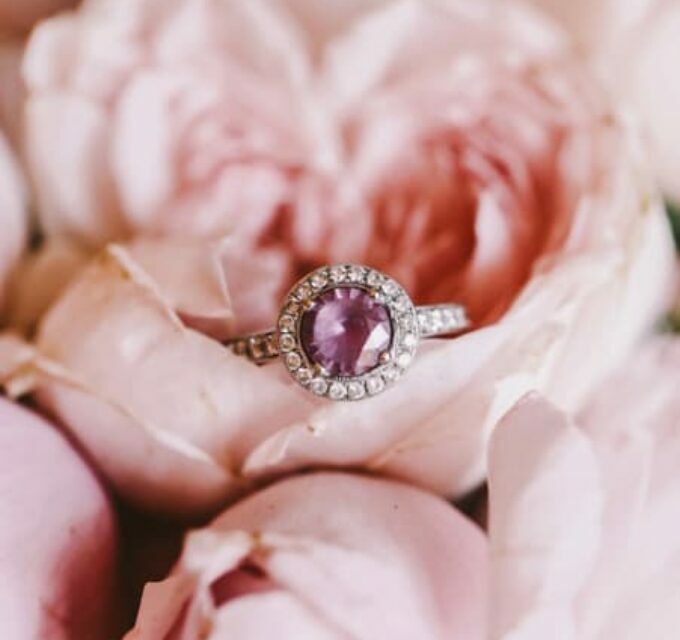 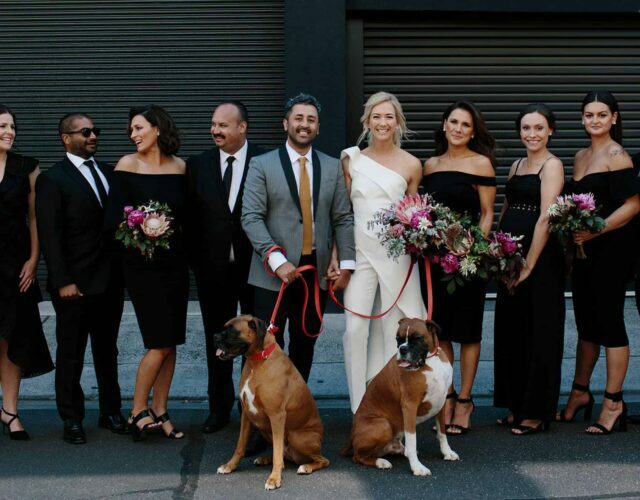 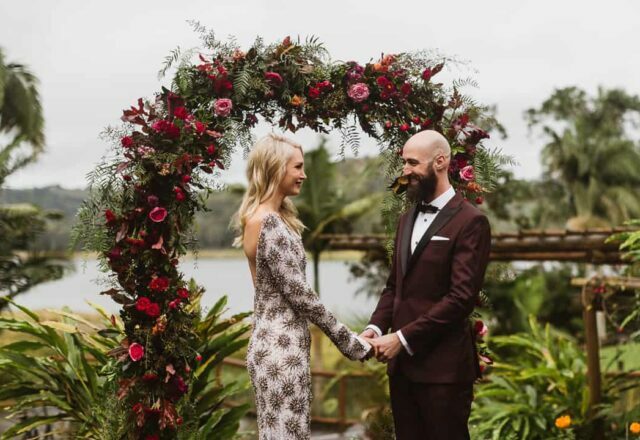 A surprise proposal takes some serious planning and in the case of this couple, Alex plotted to pop the big Q on a spontaneous Sydney trip for Denise’s birthday. 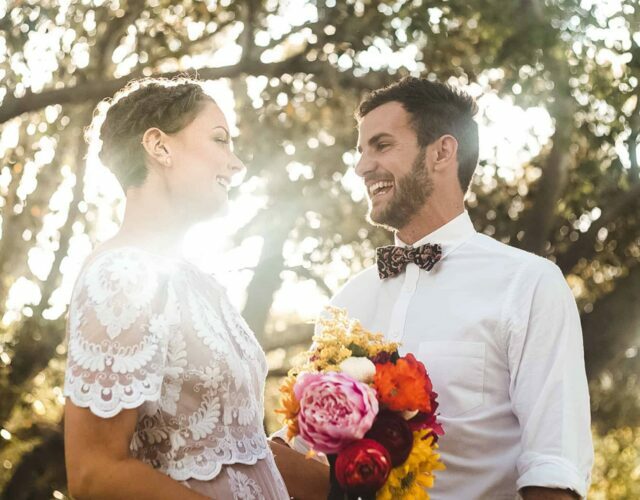 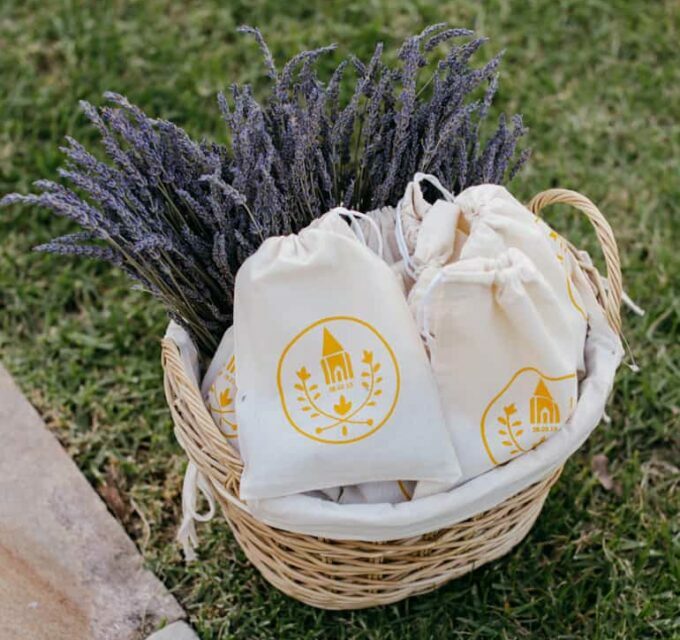 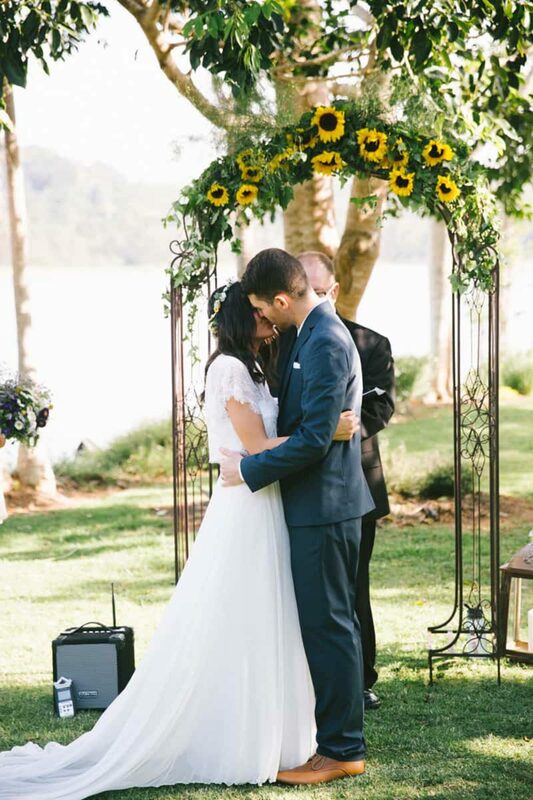 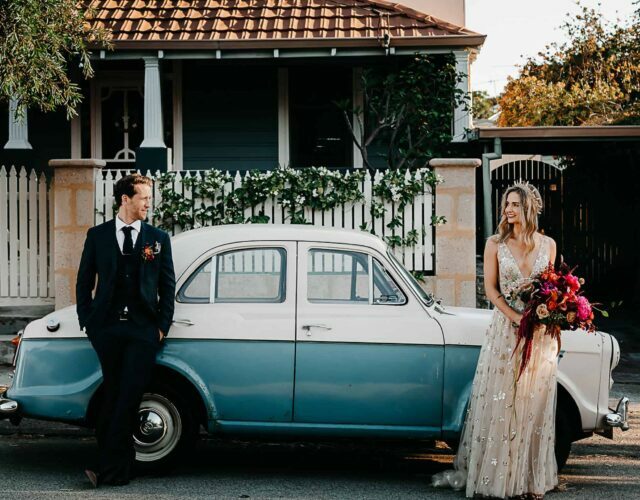 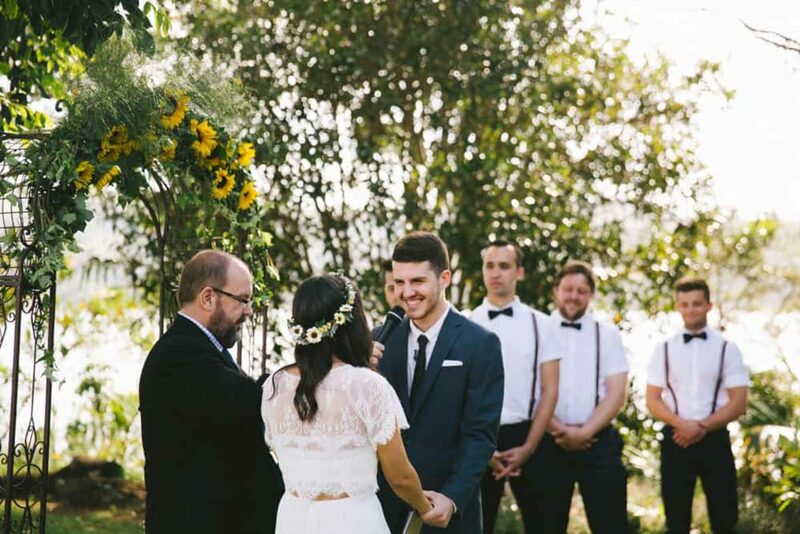 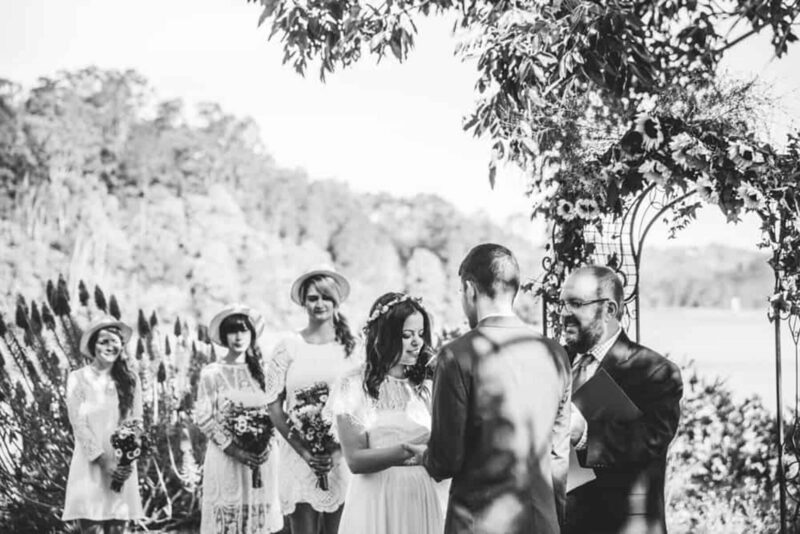 It was during the drive she noticed their hire car just happened to have a playlist of all her fave songs and when they reached their destination – a cliffside in Sydney Harbour National Park – a surprise picnic had been set up! 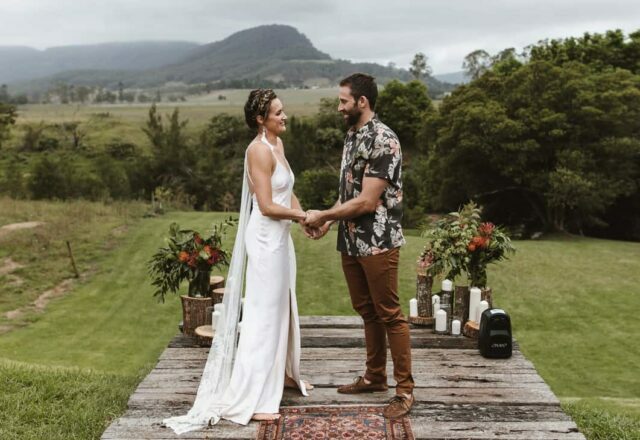 With suspicions well and truly brewing, Alex finally pulled out a poem he had written and preceded to get down on one knee. 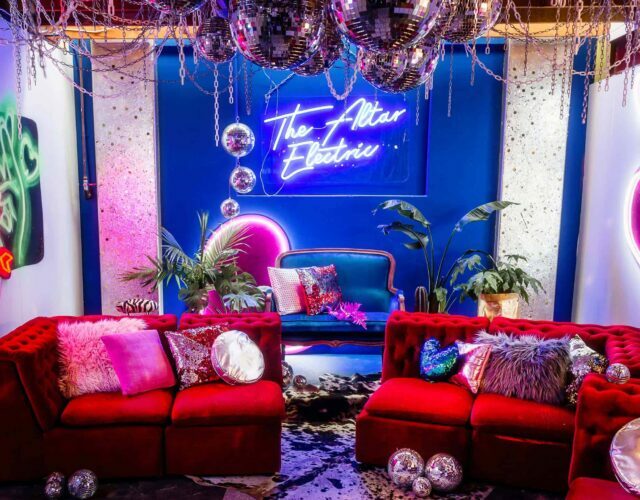 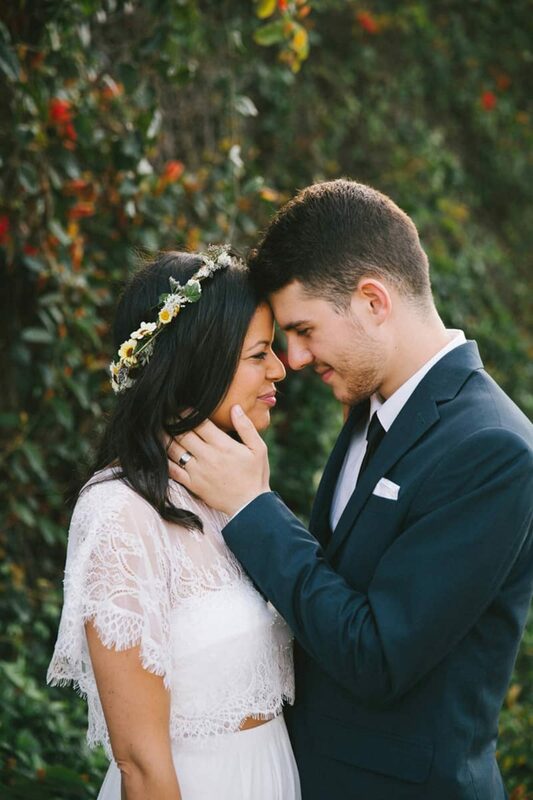 Be still our beating hearts! 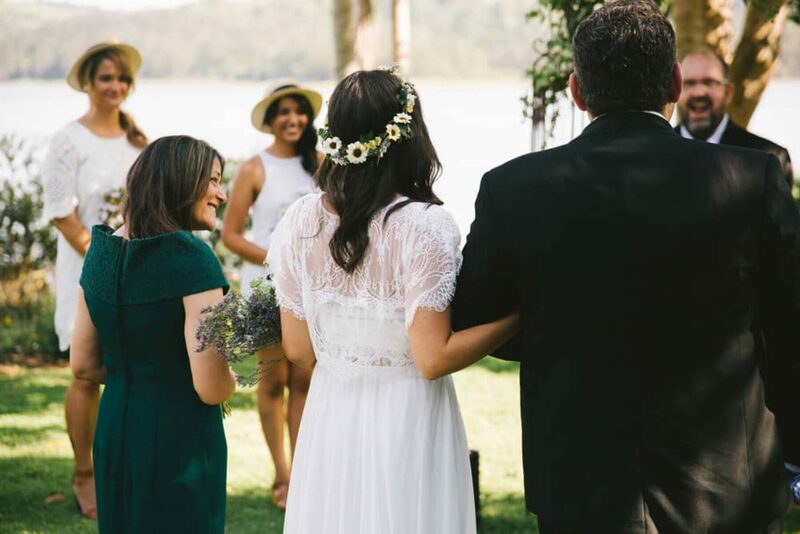 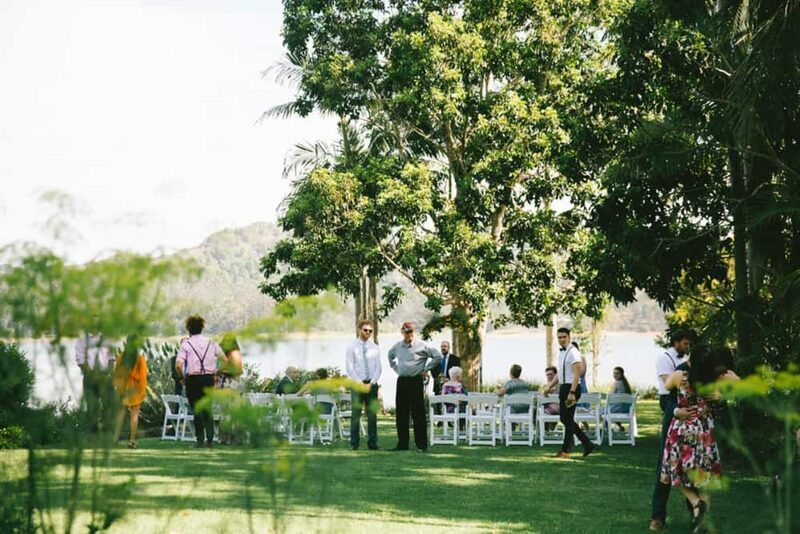 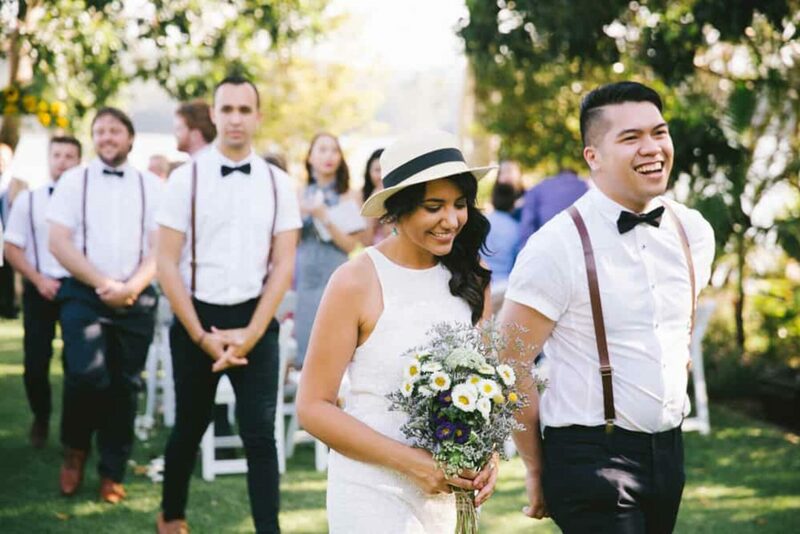 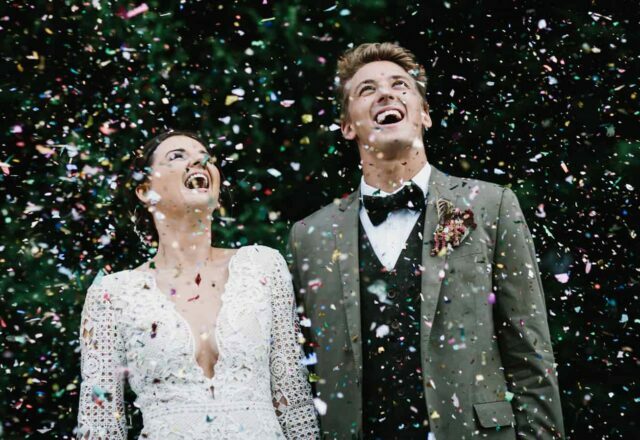 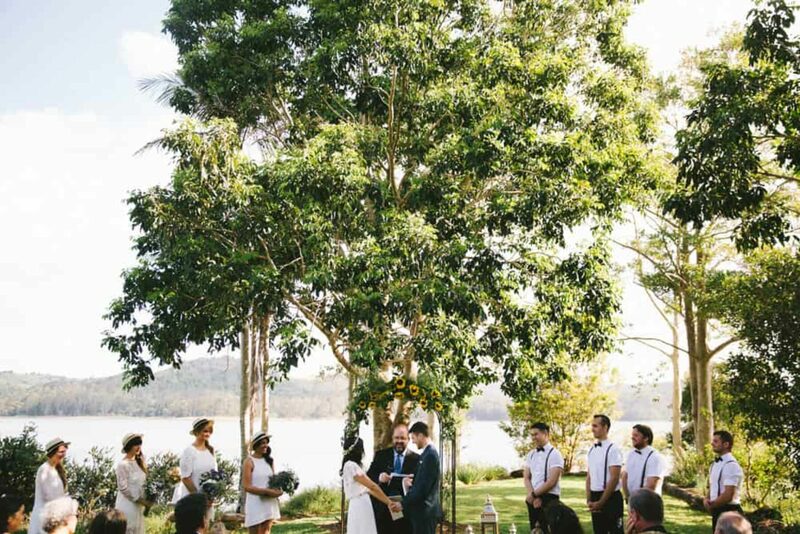 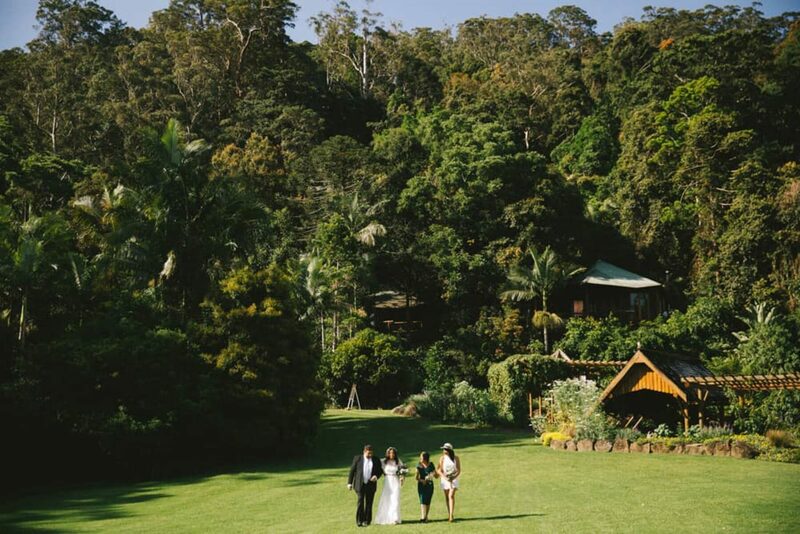 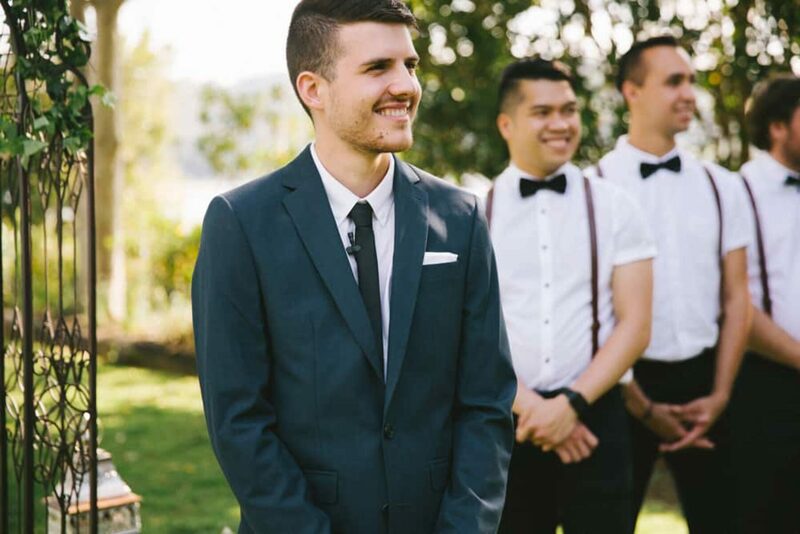 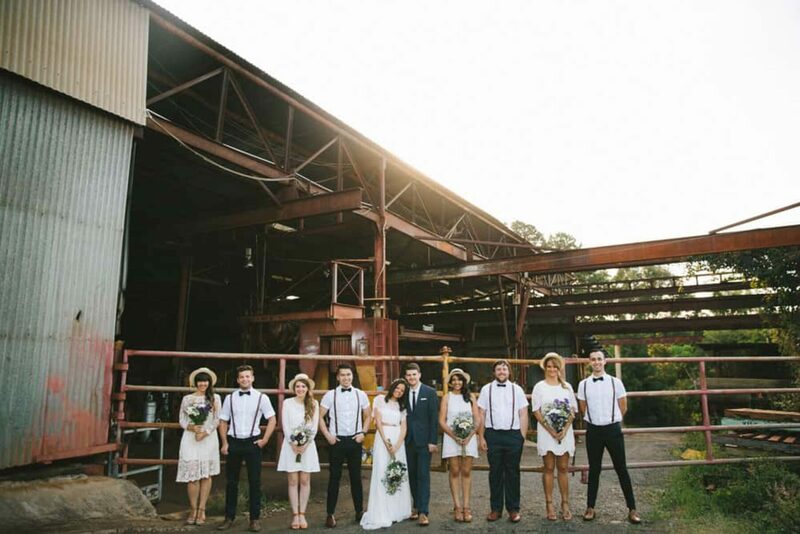 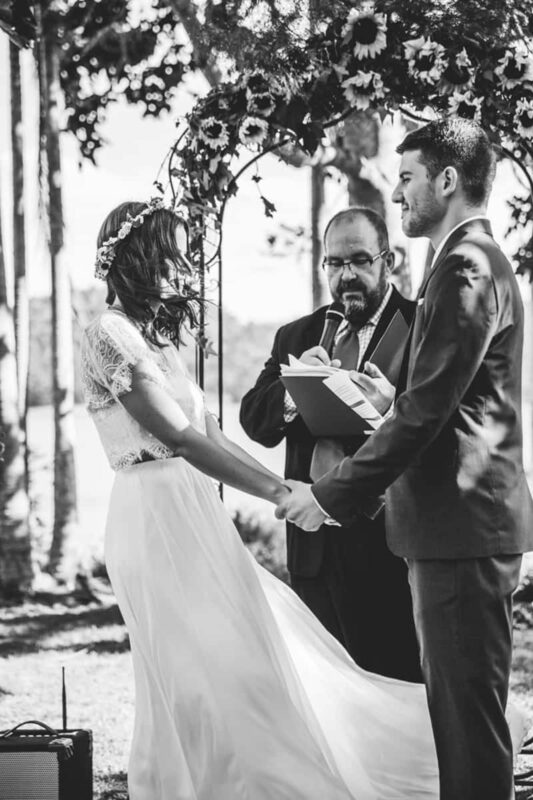 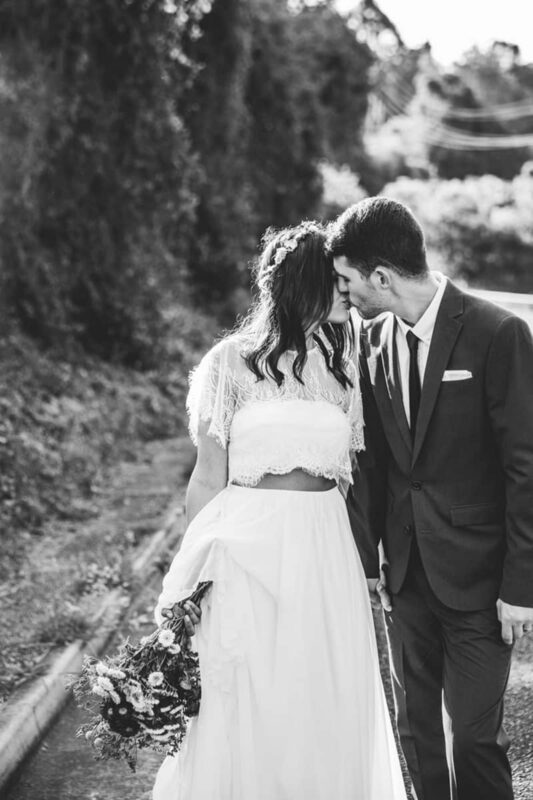 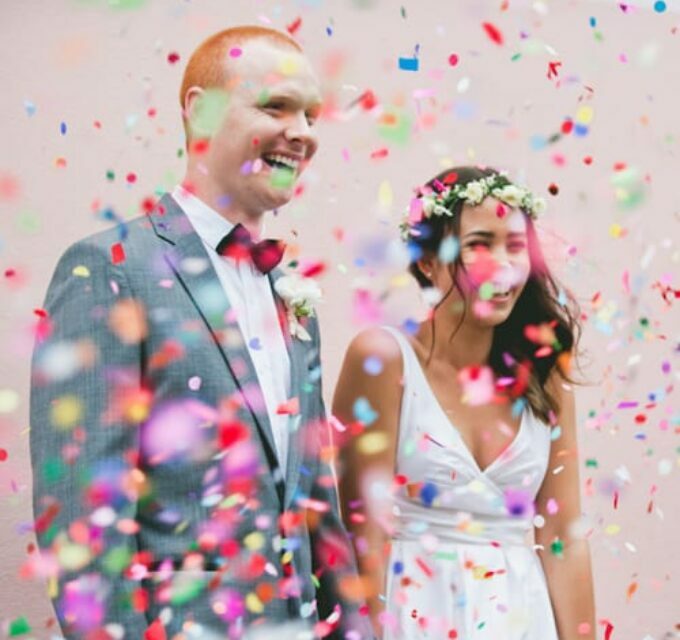 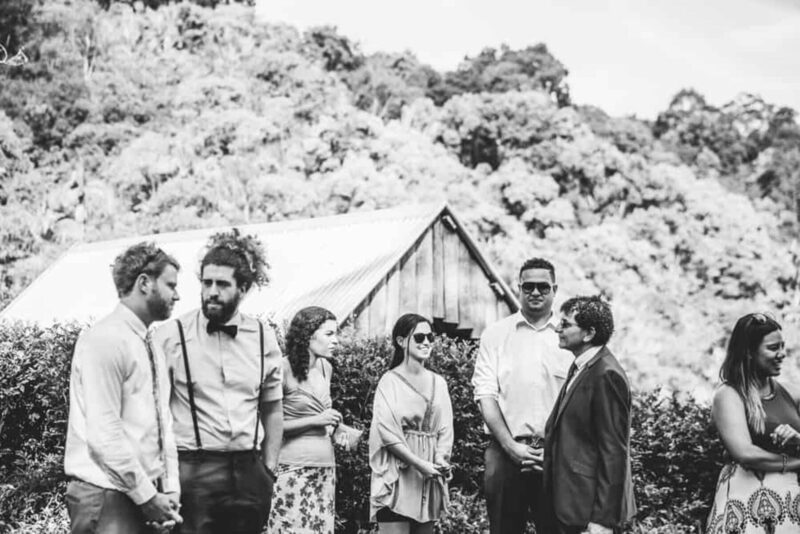 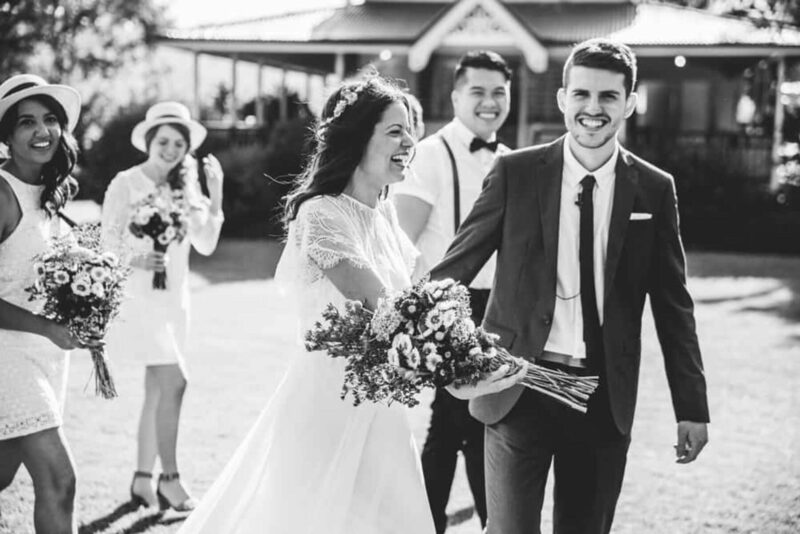 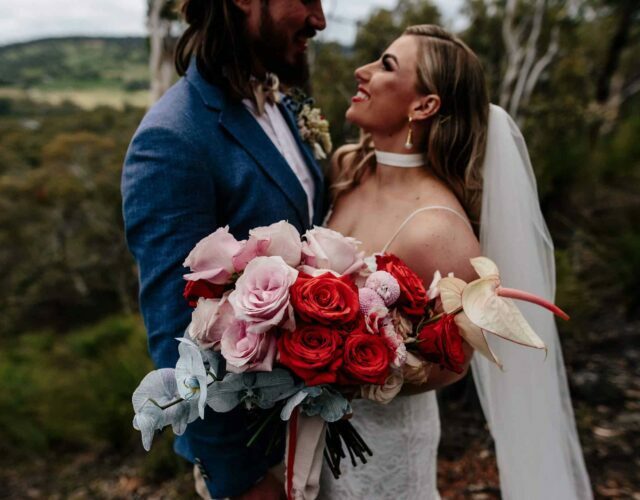 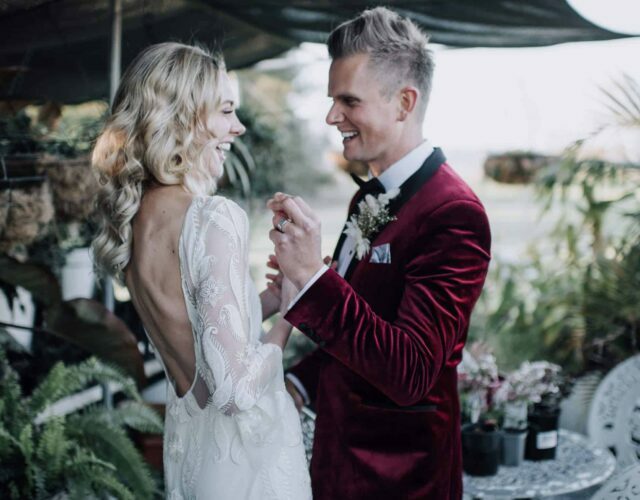 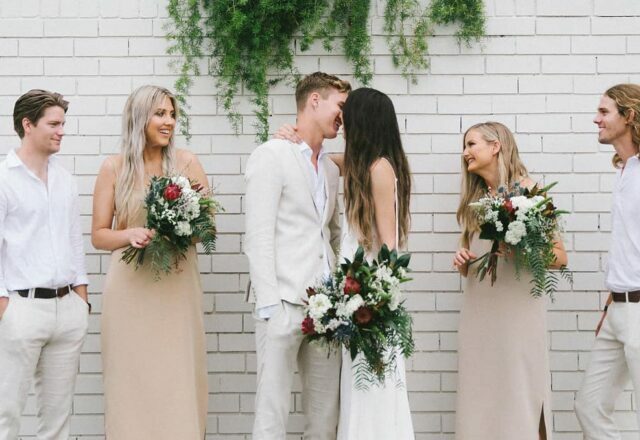 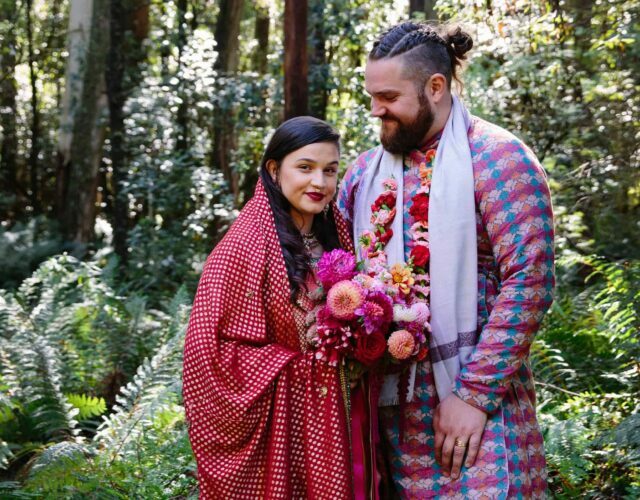 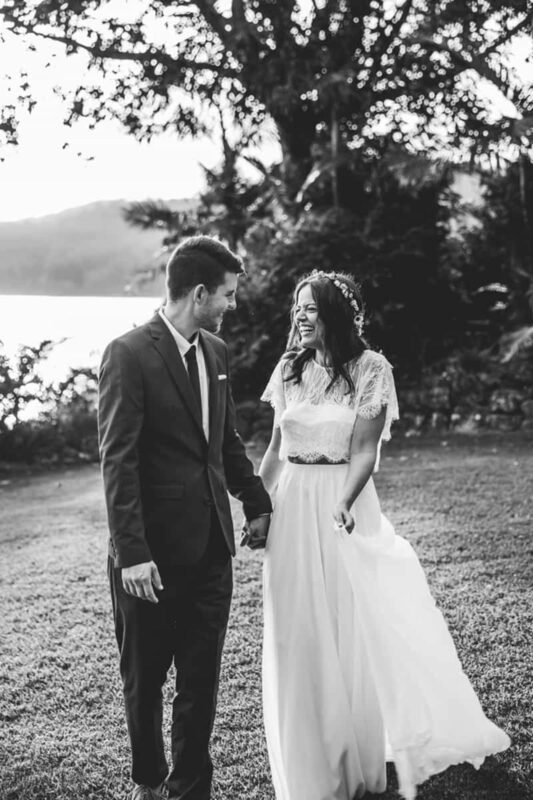 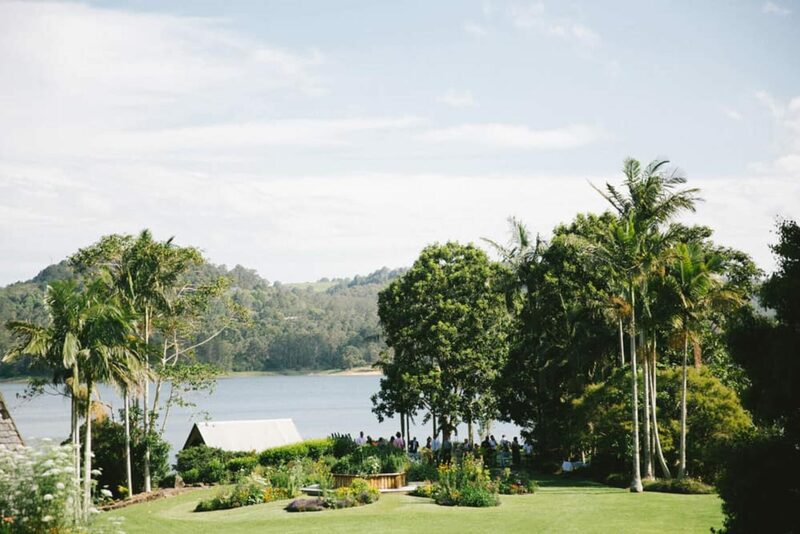 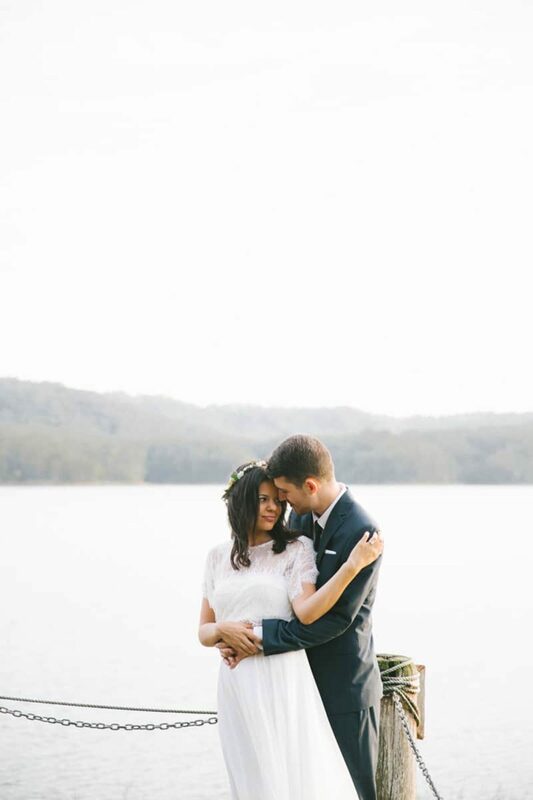 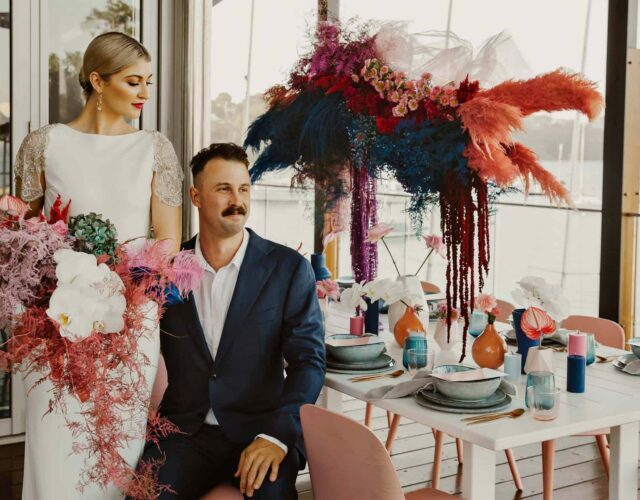 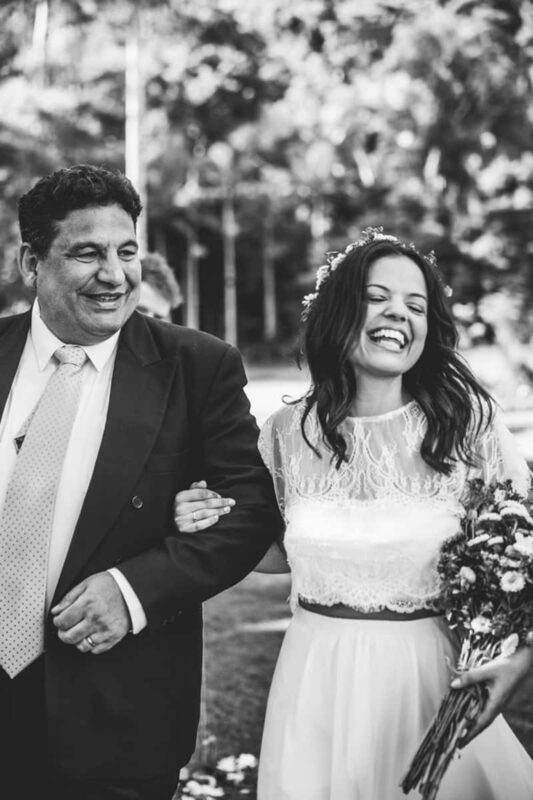 These sweethearts didn’t just stumble upon their venue, Secrets on the Lake – it’s a favourite coffee spot of Denise’s, so when they found out that the rainforest retreat hosts weddings too, they were sold! 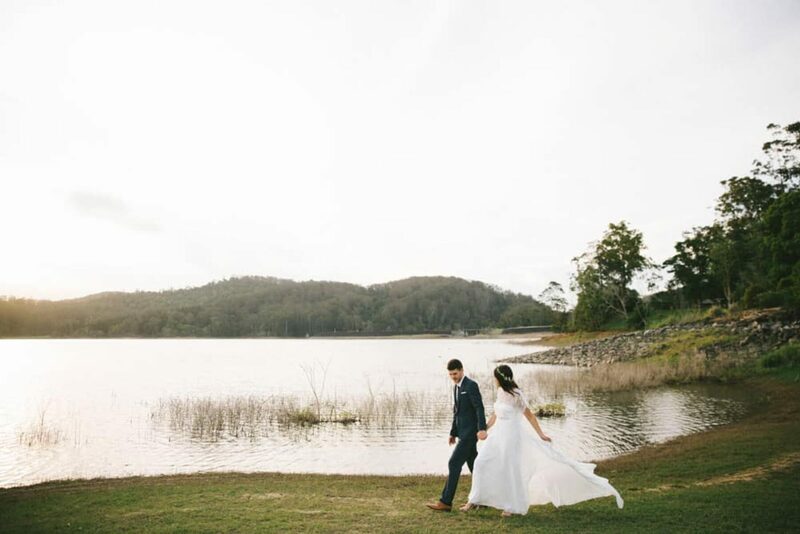 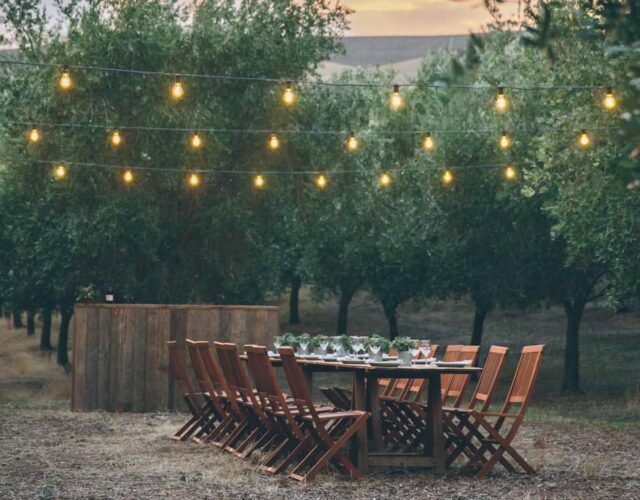 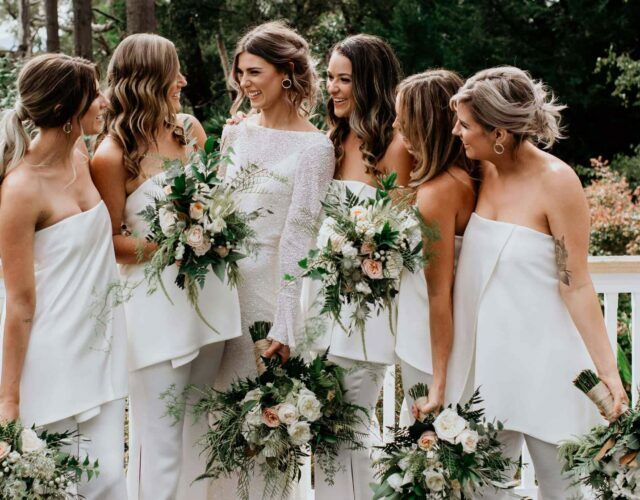 With oasis-like gardens and cabins perched high among the trees, this gorge venue made for a picture perfect backdrop and Kait Photography captured some stunners. 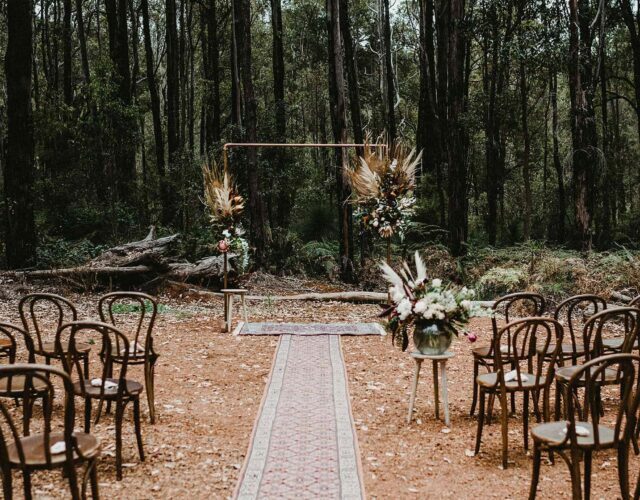 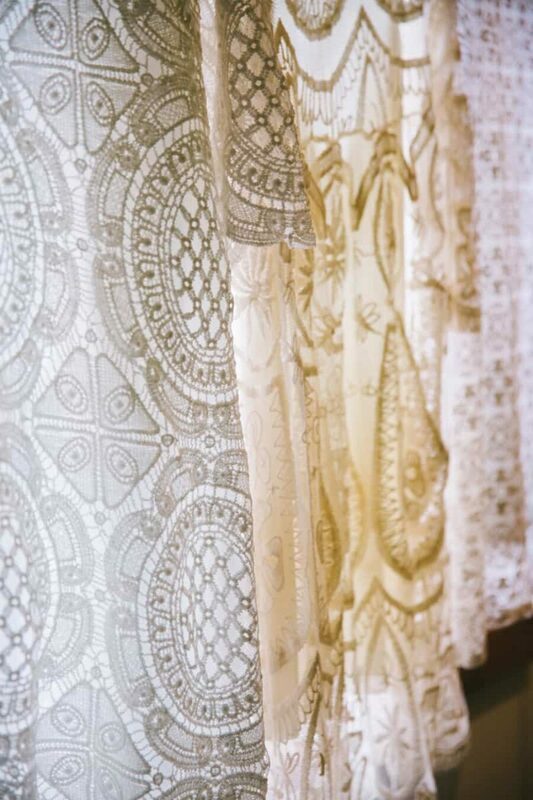 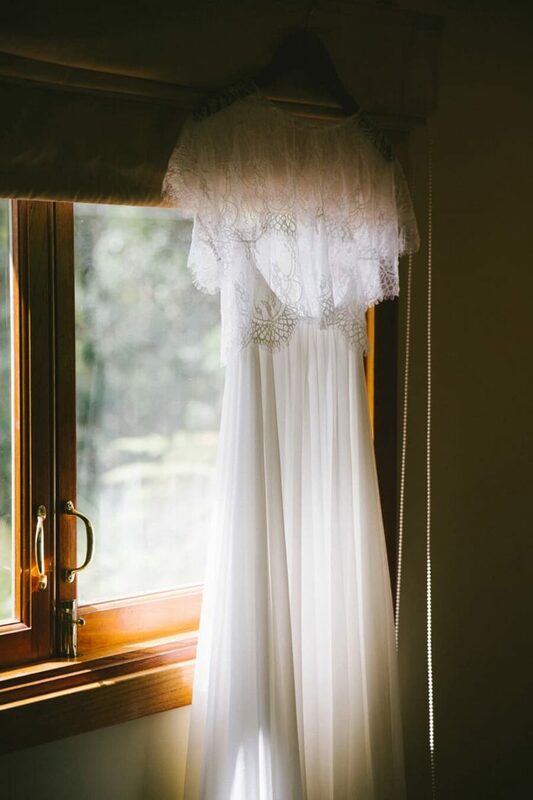 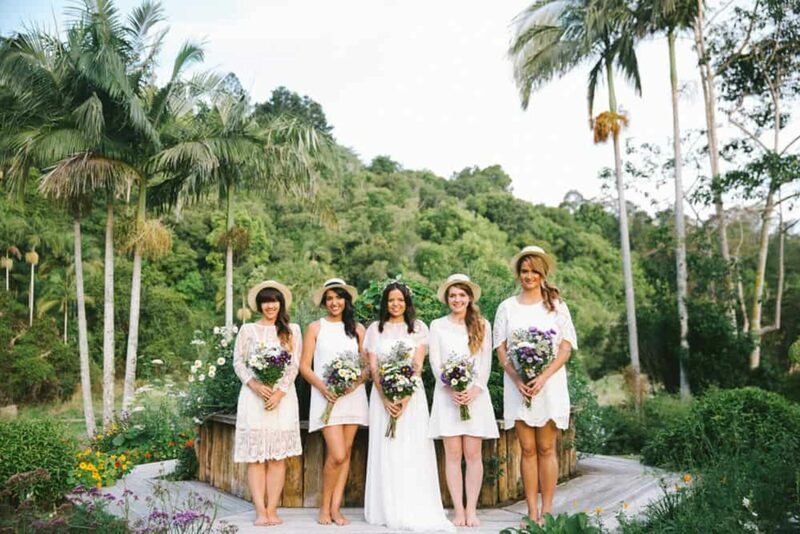 Wanting to channel the simplicity of a by-gone era, the couple opted for a relaxed and intimate affair, with Denise saying “We just wanted something simple, whimsical and in the rainforest.” With wildflowers, rustic decorations, early century tunes a bridal party reminiscent of the gals from Picnic at Hanging Rock, we think they totally nailed it. 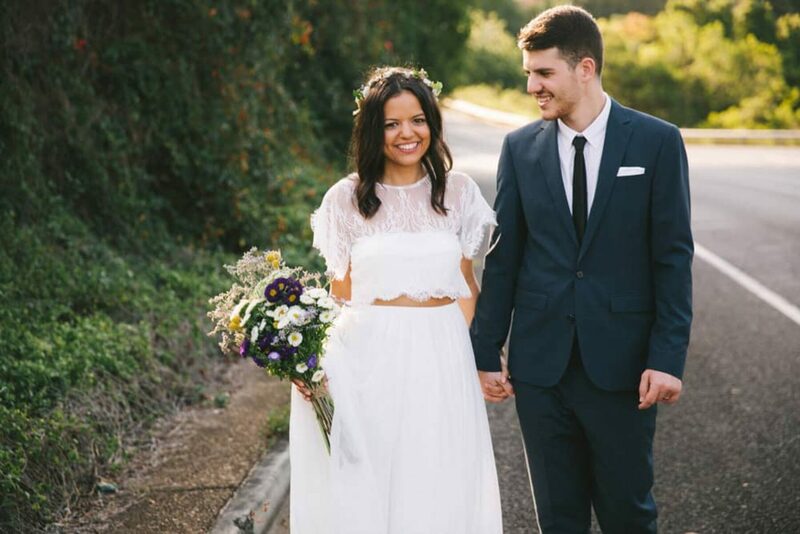 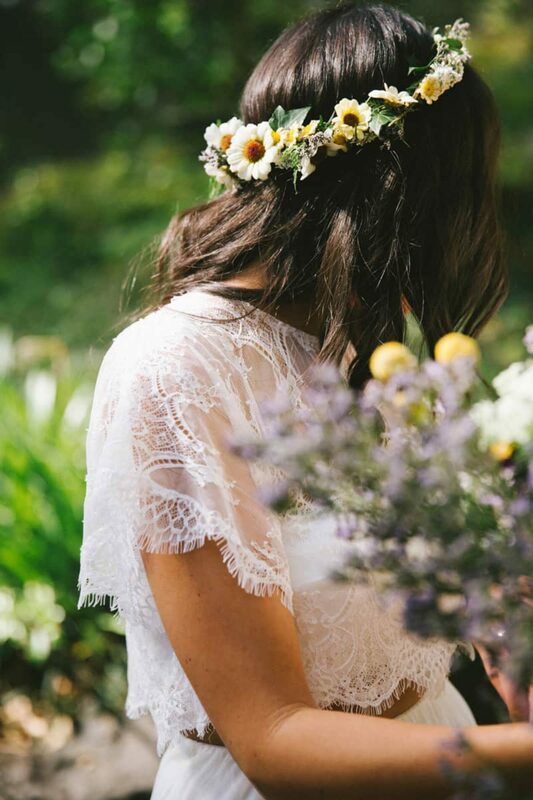 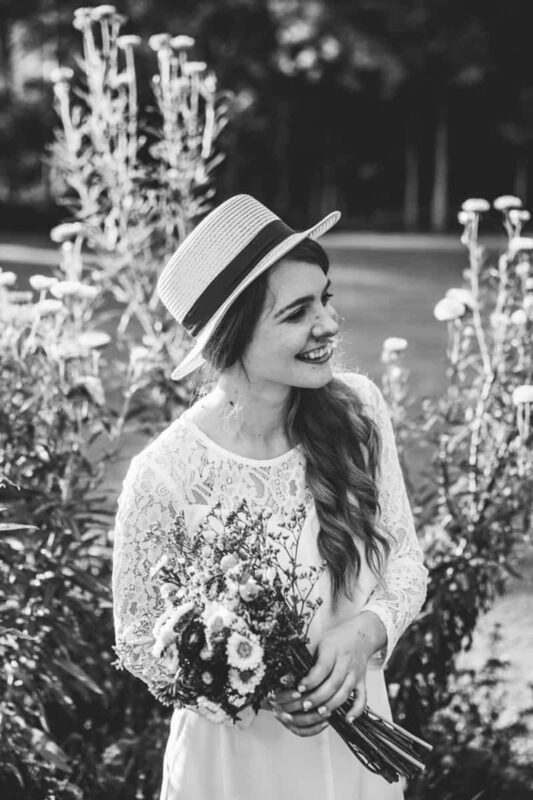 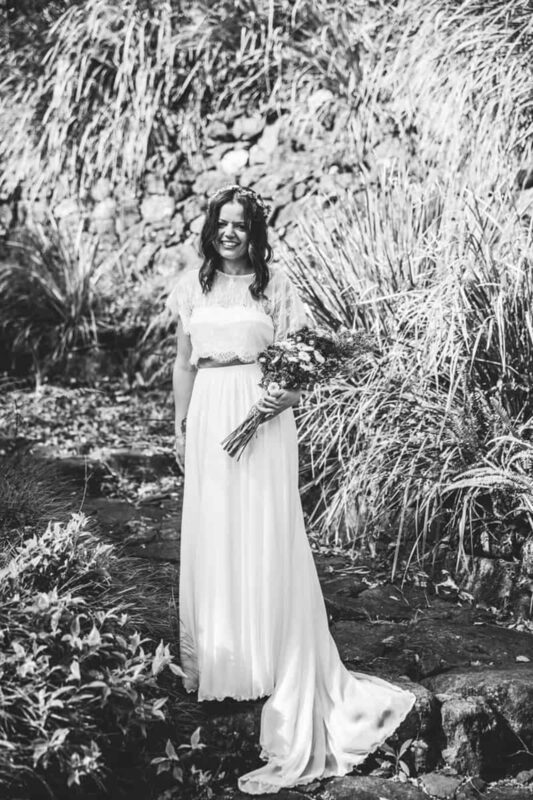 A feminine Grace Loves Lace two-piece was the perfect choice for this bohemian bride and we're digging her delicate halo of daisies. 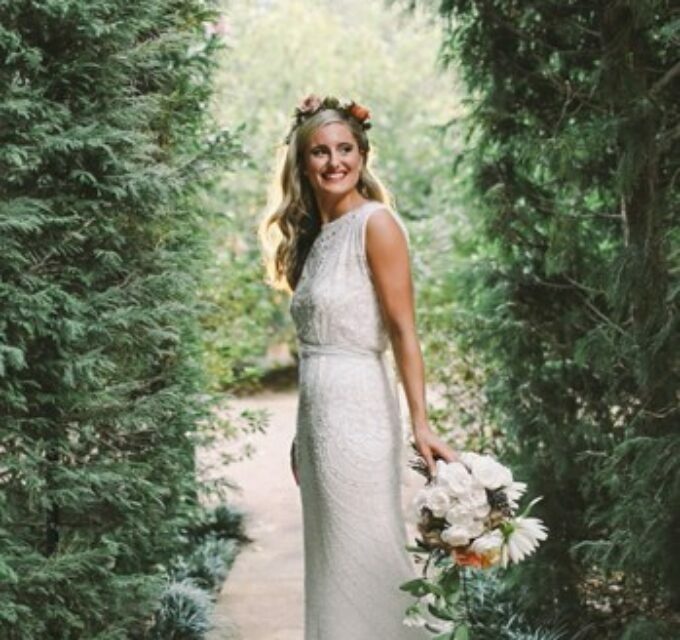 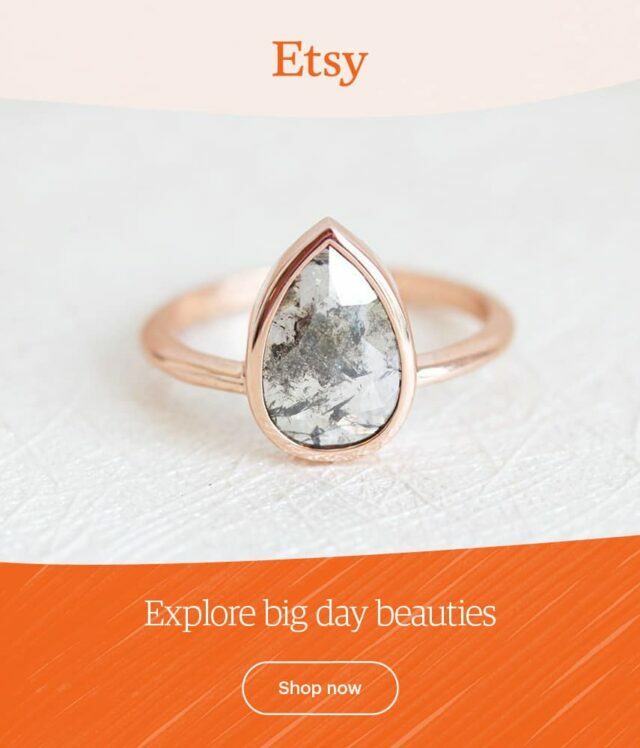 To be truthful, we're digging her whole gorgeous look! 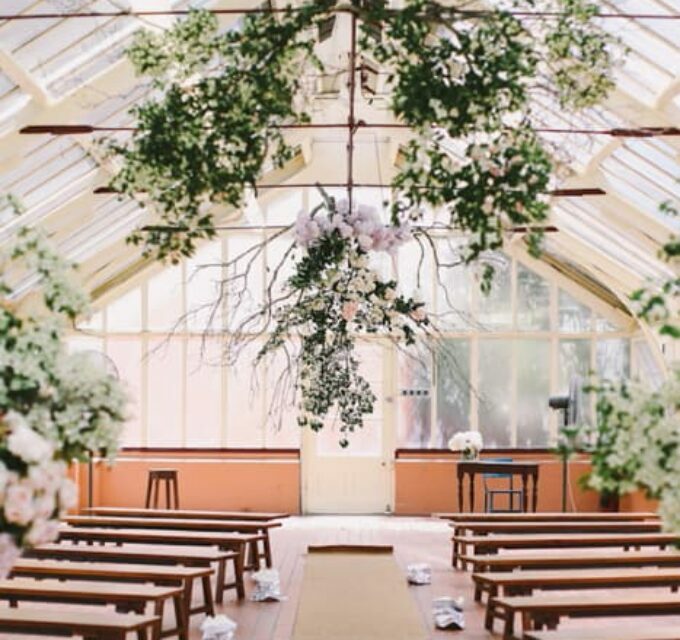 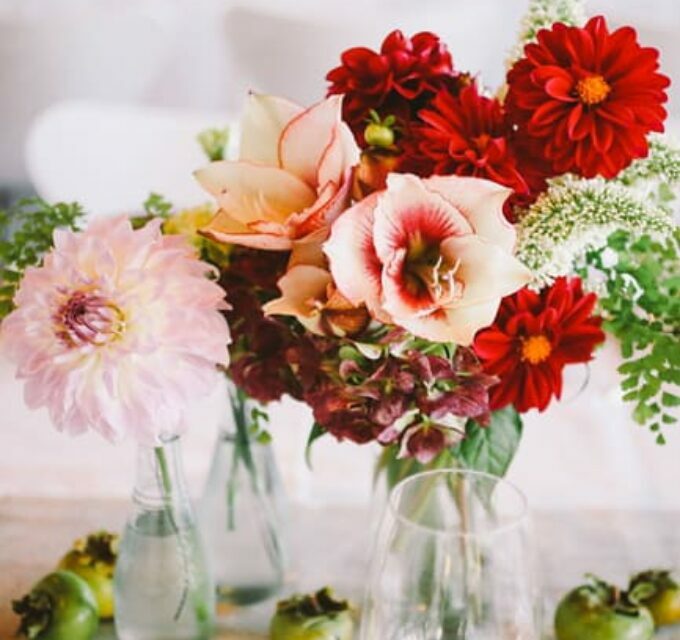 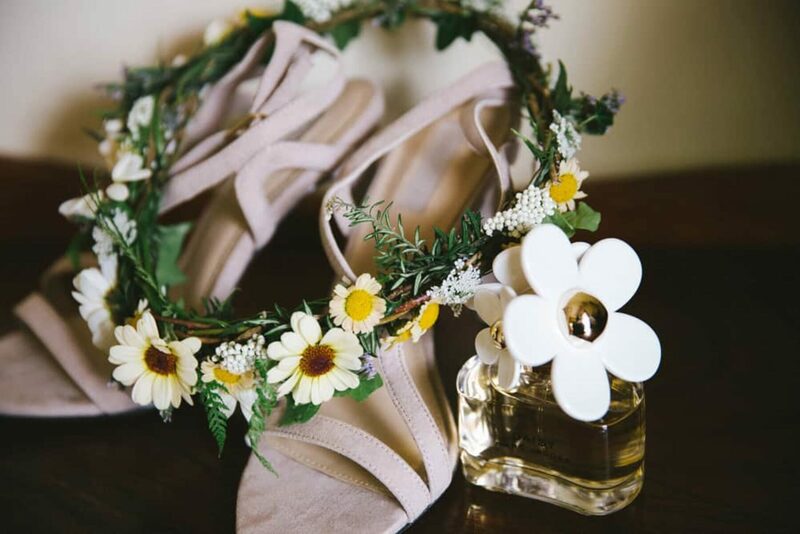 When it came to flowers, these darlings decided to do it themselves. 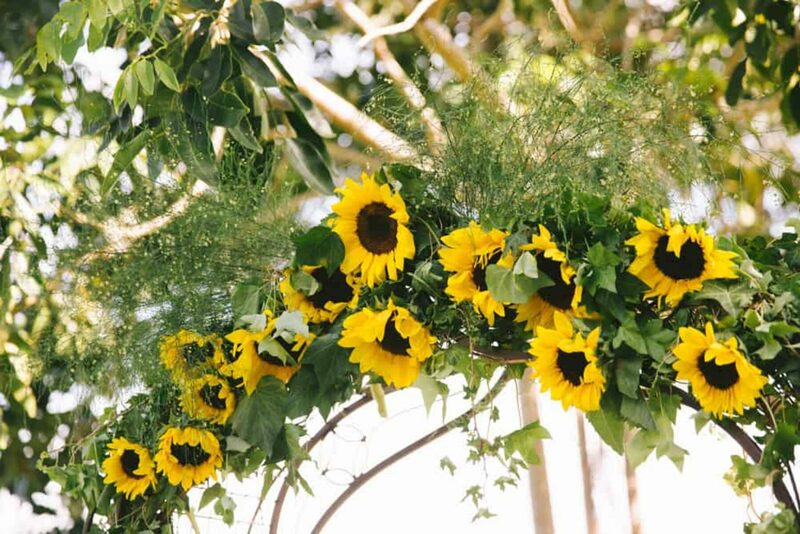 After sourcing blooms from their local flower market, the pair put together the bouqs, crafted the crown and decorated the arch and aisle in vibrant sunflowers. 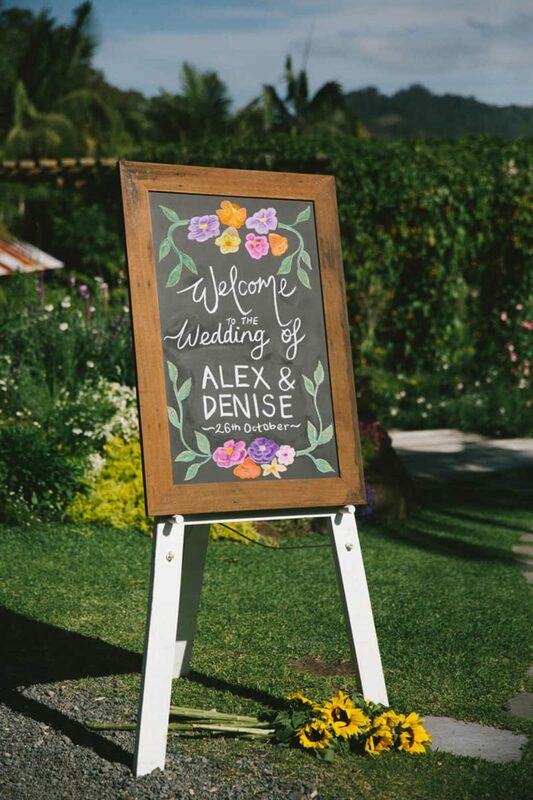 An experience that Denise says was special in itself. 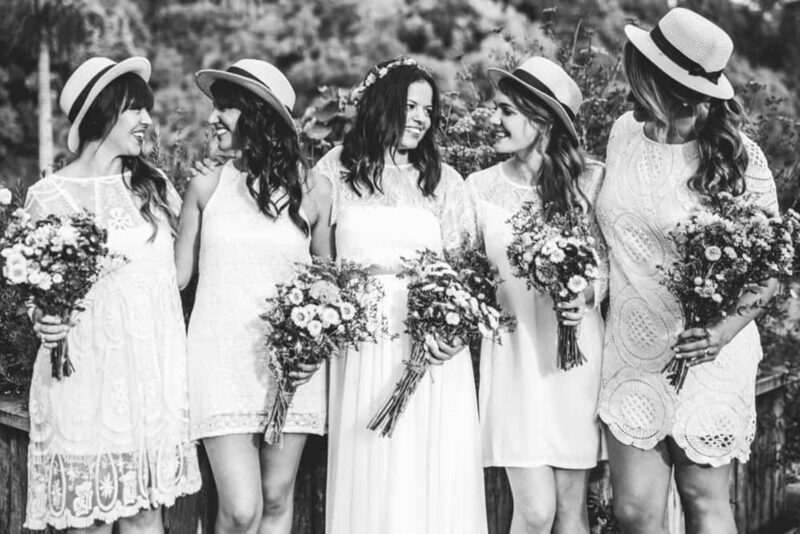 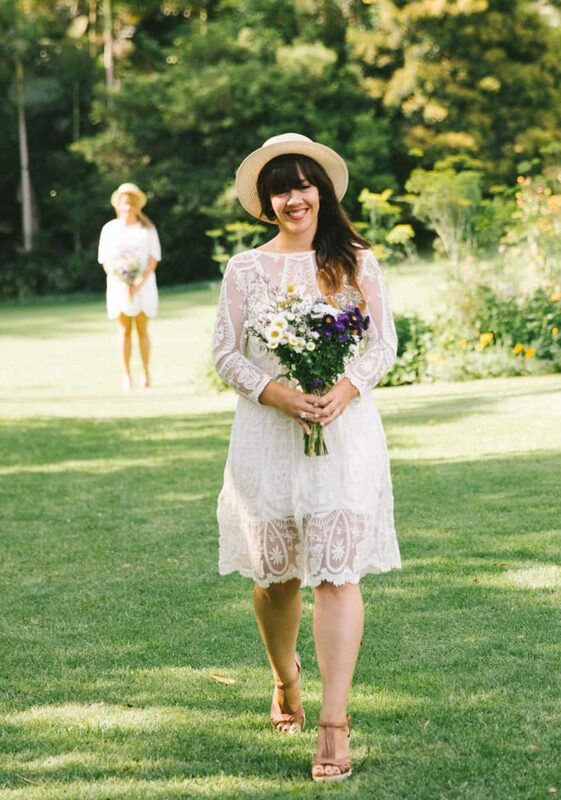 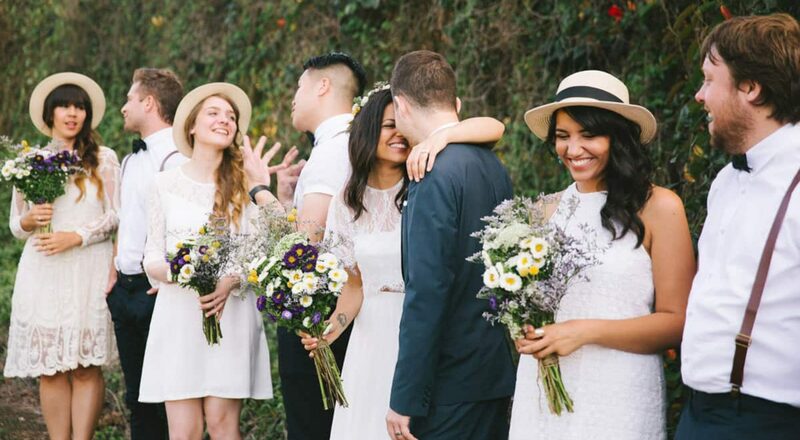 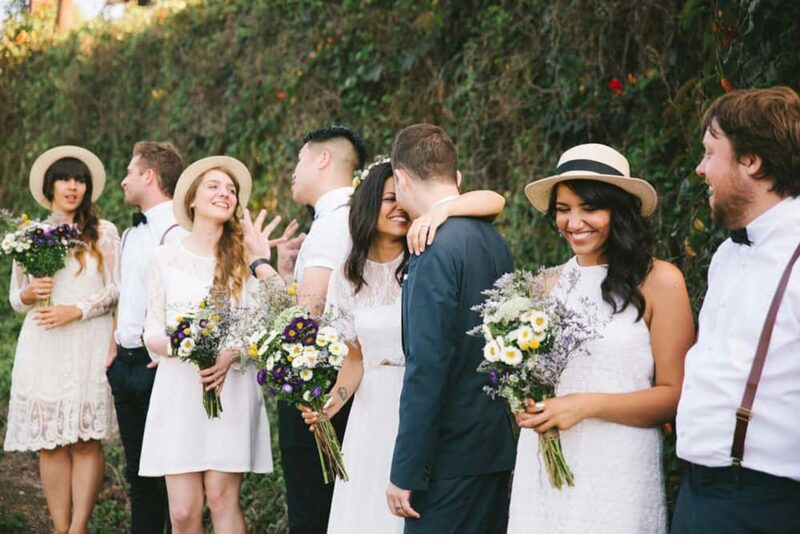 The bridesmaids were the perfect set in complementary white dresses they sourced themselves and we are completely crushing on those cute French-style sun hats from ASOS!